Once you have a connection, you can now fetch data from the database. 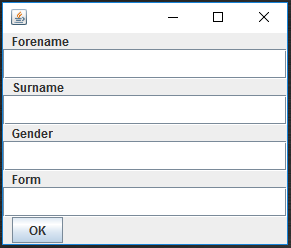 Add the following method to the DBase class. The method creates a statement attached to the connection con. The statement executes a simple MySQL query. The query results are stored in a ResultSet rs. A pointer is set to before the first record in the ResultSet. A while statement is used to traverse the set. Finally, the connection is closed. Note that we use executeQuery() to retrieve data and executeUpdate() to update the database. Here we’ve hard coded the student we’re adding. A later section will show how to add any student. The following is the class I’m going to use for the main part of this tutorial. It’s just the Quick Start code broken down into methods. Check the connection by calling the makeConnection() method as follows. If everything is okay the program will simply terminate. If an exception is thrown, check your port number, username and password. 5 Eliminate consecutive duplicates from a List. Write a method that removes consecutive duplicates from a List. The order of the elements should not be changed. Run-length encoding of a list. Consecutive duplicates of elements are encoded as pairs where N is the number of duplicates of the element E.
Given a run-length code list generated in a previous problem, construct its uncompressed version. These problems were inspired by the 99 Lisp problems. Lisp is a very different language to Java; its use of lists means it’s not appropriate to emulate all the original problems in Java, however, there is some benefit in practising the use of Java collections. The introduction of lambda functions in Java8 made me rethink how best to approach these problems. There are three things being practised here: collections, generics and lambdas. I’ve split up the questions so that they give a chance to practice these different skills. First, set up a MySQL database. For the purposes of this demonstration I set up a simple database called bluecoat with one table: student. The table has four columns of type varchar: Forename, Surname, Gender and Form. 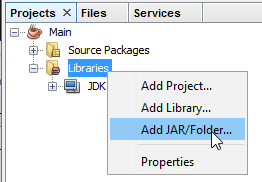 You will need to download the mysql-connector JAR and add it to your classpath. Consult your IDE’s documentation on how to do this. The following code will connect to a database called bluecoat running on a mysql server on port 3306 of localhost. I used XAMPP to write this tutorial: by default the username of the database was root, the password was left blank. Run the code. If it doesn’t throw an exception, you’re successfully connected!